Dryer Vent Cleaning Portland Oregon truly a fire threat? Absolutely! Dryer Vent Cleaning Portland Oregon truly a threat? Absolutely! Is dryer vent cleaning Portland Oregon truly a threat? Absolutely! 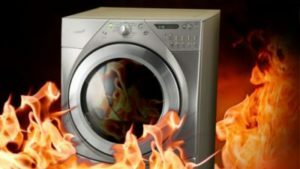 Dryer vent cleaning Portland Oregon is not a “sales gimmick”, lint buildup at worst is a very real fire hazard, and at least will make your clothes take longer to dry and prematurely wear out your clothes dryer. Dryer vent cleaning is not technically difficult, and on the direct vent applications (Direct vent is where the dryer vent goes directly thru an exterior wall to a flapper) can be done with a normal shop vac and some rags. 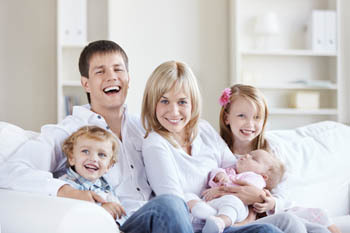 If we’re already at your home performing services, the costs for us to clean a direct vent dryer is very minimal, while cleaning we will clean all lint around the vent and all around actual clothes dryer as well, so many homeowners find the value worth it. Longer dryer vent cleaning Portland Oregon can be challenging, and virtually impossible without the correct tools. There are a few methods, we prefer a steel whip with an aggressive brush at the end to push thru any clogs, then a powerful vacuum to suction out lint & debris after it is worked loose. Care must be taken not to damage the duct inside walls and other inaccessible locations. How often should you clean your dryer vent? There is no real set time frame, although if asked to give you one then we would say at least annually. Your best bet to ensure your dryer vent is working properly & safely is to have your dryer vent cleaned, then walk outside with the dryer running and check the airflow at the exterior flapper location. Make a note of how strong the airflow felt. Check your airflow every other month or so, and if the airflow becomes reduced, it’s time to have your vent cleaned again. Portable machines are the future! Is dryer vent cleaning portland OR truly threating? Absolutely!